Konstantin Kisin is a Russian-British comedian, podcaster, writer and social commentator. He made international headlines in 2018 by refusing to sign a university “behavioural agreement form” which banned jokes about religion, atheism and insisted that all humour must be “respectful and kind”. 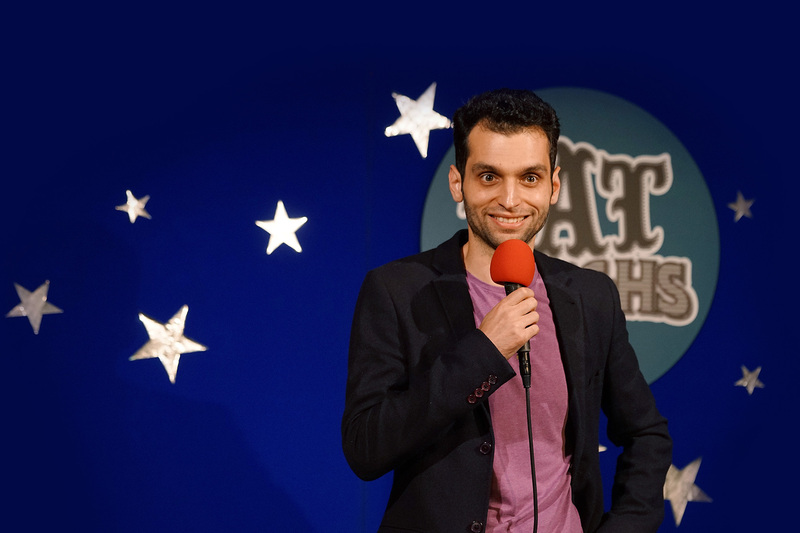 A regular host at the Kilkenomics economics & politics festival, he has spoken about Russian humour on the BBC, played some of the UK's biggest clubs and has supported Geoff Norcott, Shazia Mirza and Andrew Doyle on tour. Konstantin will be bringing his debut hour to the Edinburgh Fringe in 2019. He is also the creator and co-host of the TRIGGERnometry YouTube show where 2 comics interview economists, political experts, journalists and social commentators about interesting, controversial and challenging subjects. Konstantin is the reigning Jewish Comedian of the Year and has also won Jeff Innocent's Roaring With Laughter, the Beat the Frog World Series Panel Prize and was Runner-Up in South Coast Comedian of the Year 2017 and Semi Finalist in So You Think You're Funny 2017. Represented by Anita Elizabeth Holmes Artist Management. Competition credits in his first 18 months as a comic include winning Jeff Innocent's Roaring With Laughter, Runner-up, South Coast Comedian of the Year 2017, Winner of the Beat the Frog World Series Panel Prize and Semi Finalist in So You Think You're Funny 2017. Thoughtful, intelligent comedy with a unique take on the world. "Got the show off to a cracking start..."
"Observations so accurate they’re as despairing as they are funny..."